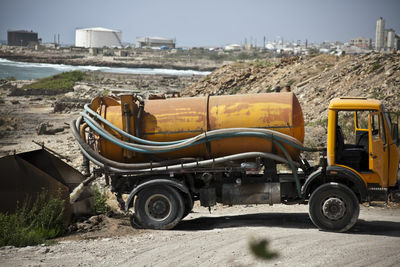 The cheaply made and often illegal settlements along the coast also add to the already rising pollution issue. Many Syrian workers and fishermen live in these settlements and create direct competition with the local fishermen. However many Syrians and Lebanese work together in this industry. The Daliyeh is one of Beirut's last public spaces and is soon to be destroyed and privatised. Few fishermen are allowing their children to work as fishermen because you get attached to the sea says Najb Deek. Many feel there is not a good life on offer through this job. This is life (and) there is nothing we can do about it. 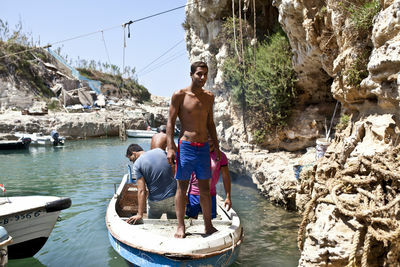 Mahmoud Krombi, 25 is one of the younger fishermen working at the Daliyeh fishing port. He complains that even during his relatively small time fishing he has seen change in the ocean. Even the Mosta (fish) is getting less every year. He says. Even the seaweed (which is vital to trap fishing) is dying from pollution. 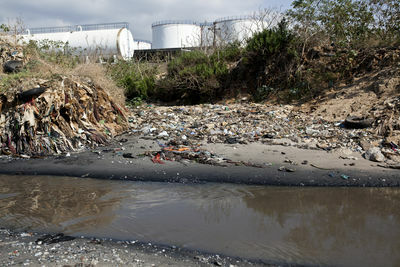 Untreated sewage and industrial waste rivers flowing directly into the Mediterranean near Dawra fishing port, Beirut. 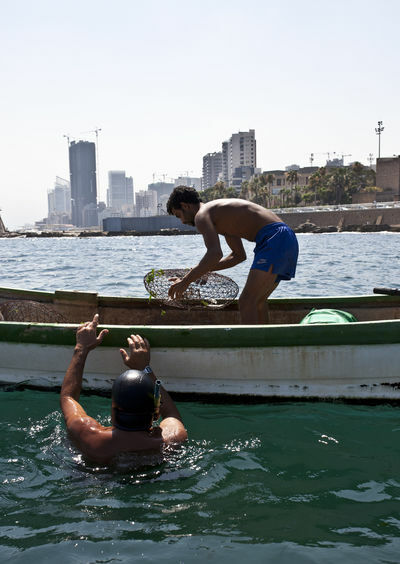 Foud and Kamal - local fishermen, using traps filled with seaweed to catch fish just off the coast of Beirut. 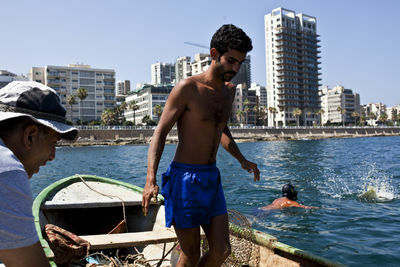 Trap fishing is not the only methods used in Lebanon, lines and nets are used and even spear guns in really hard times. Khaled Sleit and others complain that the pollution is starting to cause cancers and deformations in many fish. 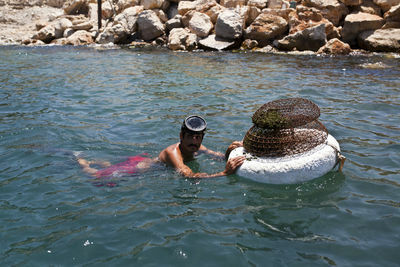 A Syrian fisherman at Dawra port in Beirut. 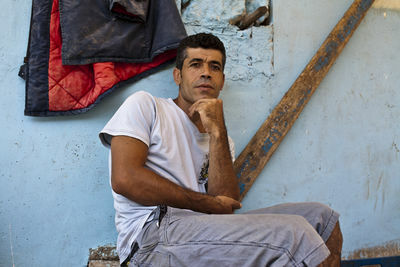 The refugees are adding a heavy toll on the local fishing industry, Says Khaled Sleit. They are a source of cheap labour but also sell the fish much cheaper which hurts the market. Khaled Sleit, the manager of nearby fishing marina Jal al-Baher tells off the fishermen at Daliyeh Marina due to them not throwing back the smaller fish, thus hurting the fish populations. Overfishing is the main reason in my opinion (for the shortage of fish), because they are keeping the small and the big, they don't throw the small ones back. 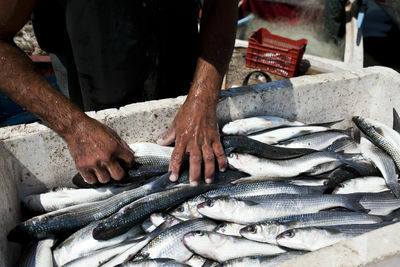 Fishermen at port Jal al-Baher argue over the day's catch which had been particularly small; fishermen can sometimes earn as little as 30 US dollars a day but then have expenses. 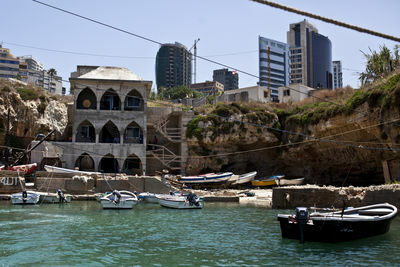 The Daliyeh fishing Marina, an estimated 70-80 years old, surrounded by new developments. The situation is so bad for some fishermen financially that many have had to sell their boats and look for other work. This man can't afford to use his boat but still fishes only using a float. Many members in port communities support each other by splitting what they earn as they receive little support from unions and other organisations. The Sea is Mine. 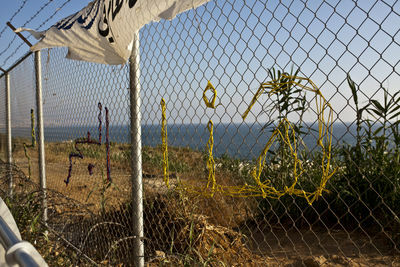 A message made out of string put on a new fence blocking access to the Daliyeh by activists from groups such as Operation Big Blue and Greenline. There have been many protests against the Dalieyh development but the secretive plans seem to be going ahead regardless. Hamzi Khalil, 63 has been fishing at this port for 50 years and the new development will mean that he will have to move out. If you put me in a fine hotel and beach, I wouldn't enjoy it as much as I enjoy it here. Hamzi has spent his whole life here and is from the local area. We're not going to protest because we don't think it's going to make any difference but when push comes to shove, we are going to protest strongly because where are we going to go? They understand the impact but they are ignorant, very selfish, very greedy, Khaled continues. They say it weighs, its doesn't matter. Khaled states that he doesn't argue with them so much anymore, I've spoken to them so many times. A truck dumping industrial waste into the sea. Local NGO Greenline say that many of the industrial waste isn't treated past the 1st degree treatment level; international laws state that the waste should be treated past the 4th degree before disposal. Wissam Kall, 39, is one of the the fishermen working at the Daliyeh Marina which is under threat due to plans to build a resort on the land. This year has been (particularly) bad, no fish. 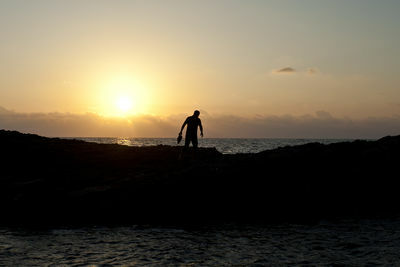 Wissam is from neighbouring city Sidon, which has a large dump next to the coast. 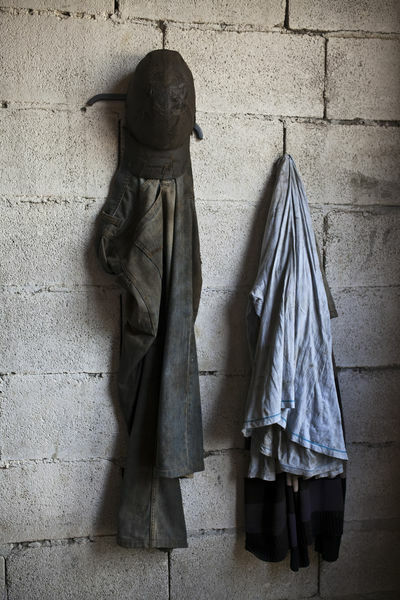 During the winter when there is fewer fish, Wissam sometimes has to collect metals and other sellable scrap from around the landfill. As long as I am working a living and not stealing or extending my hand to beg, it is fine. 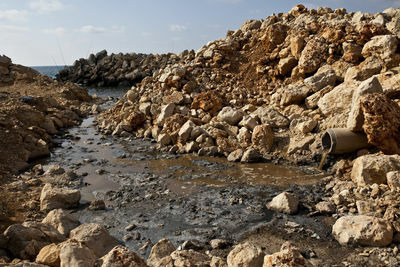 Pollutants and sewage being dumped into the Mediterranean in the southern Lebanese coastal town of Sidon. 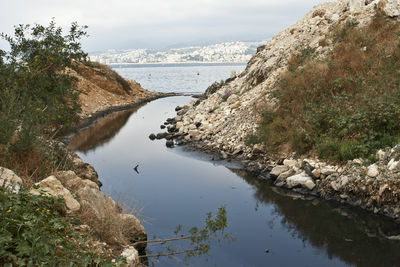 Lebanon's coastal zone is very diverse and these pollutants have a devastating effect on the local environment.